Timeless glamour for your soiree under the stars. 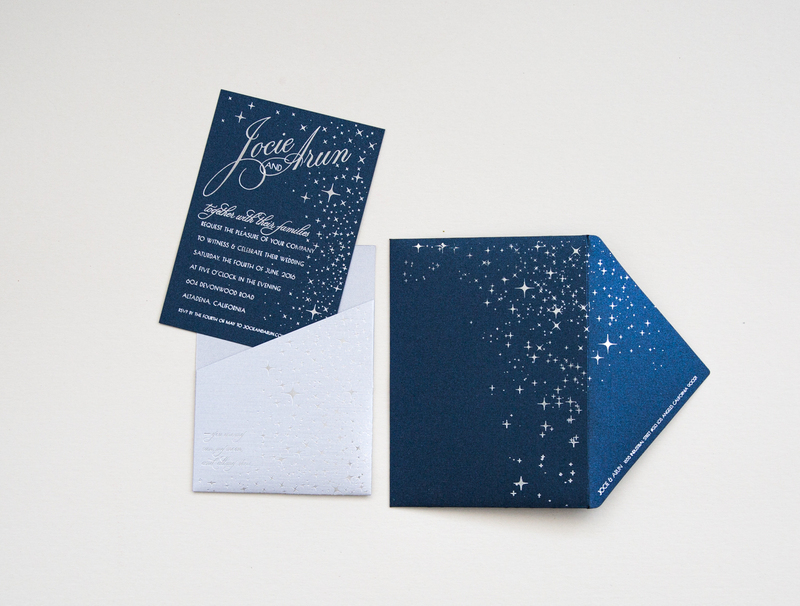 This design features a foil-pressed, starry night design on a shimmering midnight background. 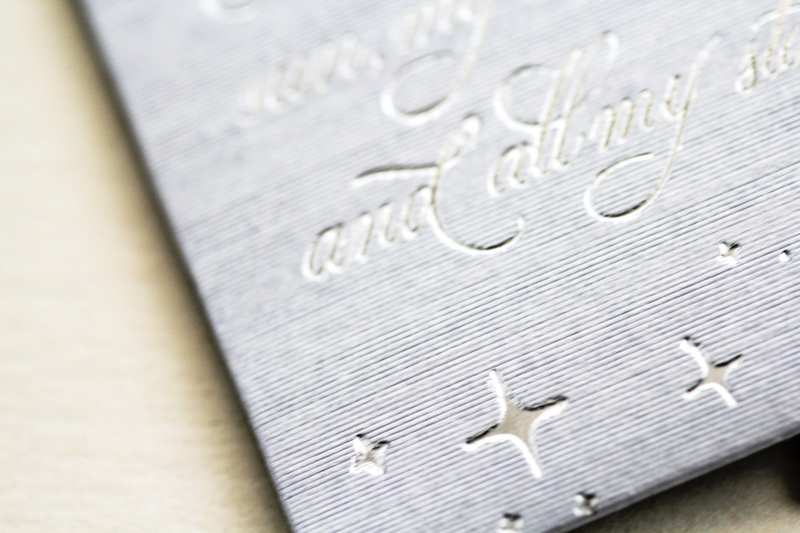 Enclosed in a silver textured pocket. Inscription on the front of the pocket reads “You are my sun, my moon, and all my stars” by E.E.Cummings. 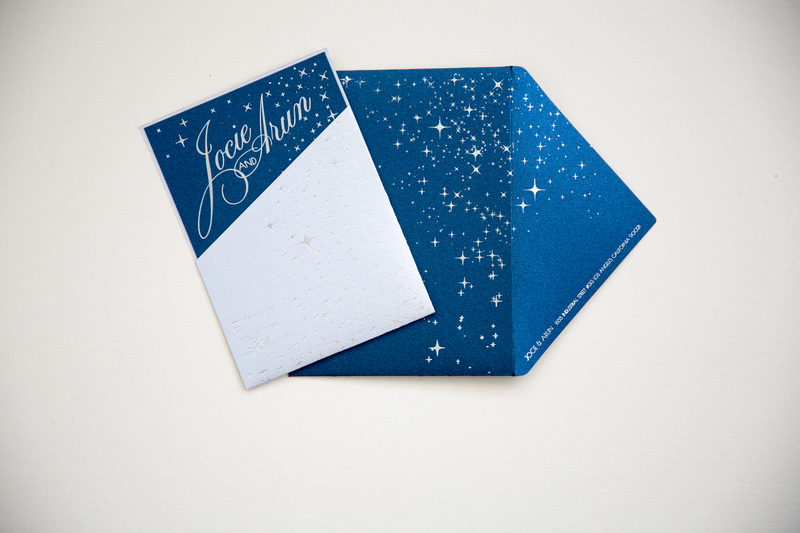 and can be customized to the names of the bride and groom or a quote of your choice. 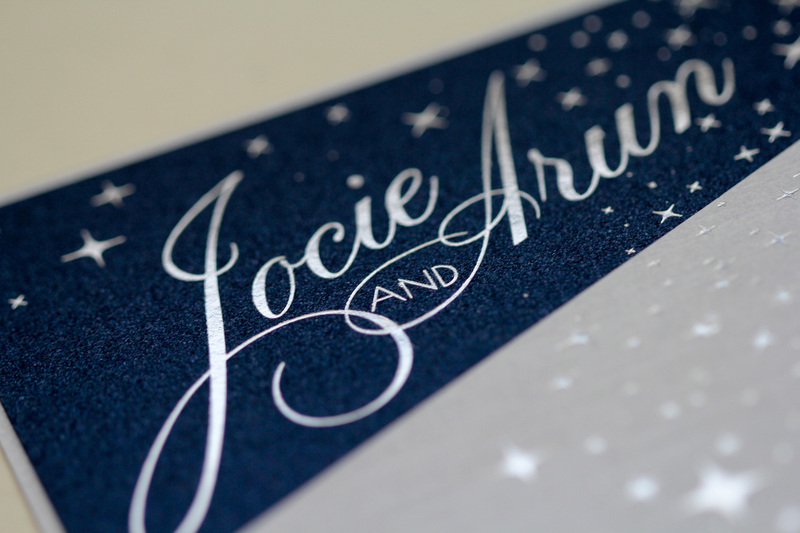 Designed for my dear friend Arun and his beautiful bride Jocie for their wedding at a private estate under the stars in Southern California.